The framework used during the planning process is the Appreciative Inquiry (AI) method. Below you may find several powerpoint slides and articles that were used during the different trainings. AI is not (just) about the positive. AI focuses on the positive This article explains that, contrary to what many believe, AI is not just about the positive. It also addresses real problems. By Gervase R. Bushe. 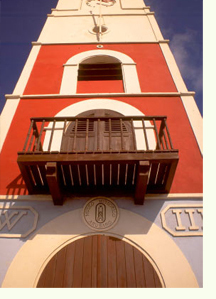 During the first planning phase the goal was to find out from the community what the strengths of Aruba are. To gather all this information facilitators from a wide variety of backgrounds were trained during the course of 4 days at the University of Aruba. Below you may find the powerpoint slides used by the trainers. During the discovery phase a symposium about sustainable development took place. Please see report for more details about this symposium. At the end of each phase of AI a report has been written indicating the results Nos Aruba 2025 received during this phase and all the events and training that took place in each phase. For the report of the discovery phase, see report below. The dream phase is all about stretching the mind and coming up with different scenario's of what our external environment may look like in 2025. Below you can find the slides of the two workshops that took place. The workshops dealt with, among others, decision making under uncertainty, developing scenario's, the SOAR framework and how to identify opportunities. Furthermore, an event called the ‘plenary review event’ took place whereby persons came forward wanting to work on different topics through the different commissions. To close the dream phase, an event took place at the Ostrich Farm whereby all the input and results received during this phase have been integrated. This input has been used in the next phase of AI, namely the design phase. At the end of the dream integration event the participants mentioned the most important topics that have to be dealt with. These became then the commissions. As was the case with the discovery phase, at the end of the dream phase a report was written about how the Aruban community envisions Aruba in 2025 and the topics which will contribute in obtaining sustainable development in Aruba and the events/training that that took place in this AI phase. The design phase is about what has to be designed, who needs to be involved and how do we describe the Aruba we envision in 2025. During the dream phase 11 commissions have been launched on topics deemed important to reach sustainable development for Aruba 2025. These commissions will work on, among others, action plans. A Terms of Reference especially for the commissions have been formulated to be used as guidance in their work. Additionally, the commission members have been trained in the methodology and tools to be used in the formulation and determination of, among others, the stakeholders and actions. 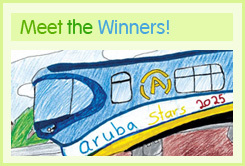 In this phase innovative ways are found to help Nos Aruba 2025 reach its goal in order to make things happen. The purpose of this phase will be obtained with the continuation of the work of the commissions on the other deliverables according to the Terms of Reference NISP Commissions and Project Advisory Committee’. It is a process of building commitment to a common future by dialoguing and debating, crafting and creating. As was the case in the design phase, the commissions will produce their deliverables by dialoguing and debating, crafting and creating. This will take place until the persons involved in Nos Aruba 2025 get to the point where all those involved have the feeling and motivation that this is the kind of Aruban community that they as a persons or the respective identity want to invest their energies in. The key to the destiny phase is to create a deliberately inclusive and supportive context for conversation and co-creation. Appreciative Living: The Principles of Appreciative Inquiry in Personal Life by Jacqueline Bascobert Kelm (2005).